Kishimoto Y, Ohkawara B, Sakai T, Ito M, Masuda A, Ishiguro N, Shukunami C, Docheva D, Ohno K. Wnt/beta-catenin signaling suppresses expressions of Scx, Mkx, and Tnmd in tendon-derived cells. PLoS One. 2017;12(7):e0182051. 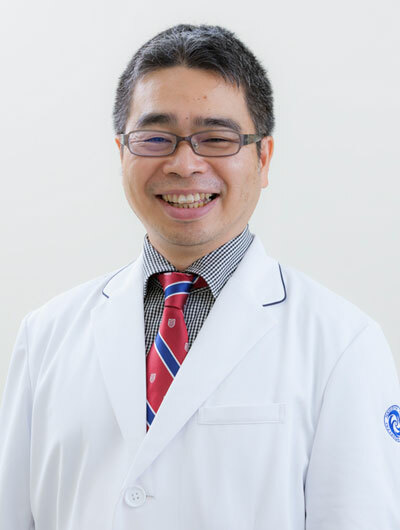 Miyamoto K, Ohkawara B, Ito M, Masuda A, Hirakawa A, Sakai T, Hiraiwa H, Hamada T, Ishiguro N, Ohno K. Fluoxetine ameliorates cartilage degradation in osteoarthritis by inhibiting Wnt/beta-catenin signaling. PLoS One. 2017;12(9):e0184388. Ono Y, Sakai T, Carroll MJ, Lo IK. 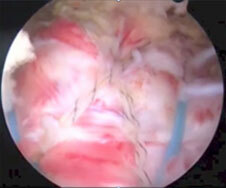 Tears of the Subscapularis Tendon: A Critical Analysis Review. JBJS Rev. 2017;5(3). 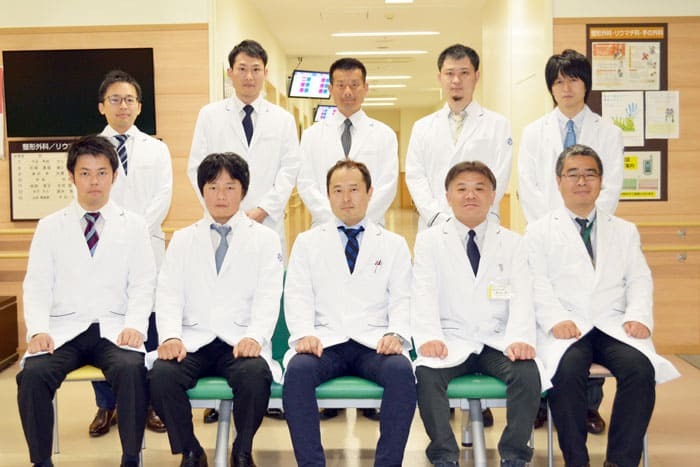 Fujita R, Matsui Y, Harada A, Takemura M, Kondo I, Nemoto T, Sakai T, Hiraiwa H, Ota S.Does the Q – H index show a stronger relationship than the H:Q ratio in regard to knee pain during daily activities in patients with knee osteoarthritis?.J Phys Ther Sci. 2016 ;28(12):3320-3324. 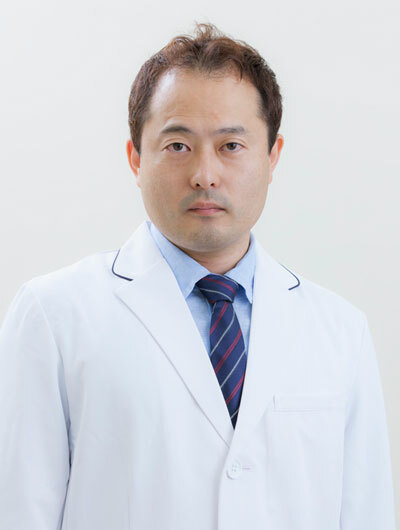 Hayashi K, Kako M, Suzuki K, Hattori K, Fukuyasu S, Sato K, Kadono I, Sakai T, Hasegawa Y, Nishida Y.Gait Speeds Associated with Anxiety Responses to Pain in Osteoarthritis Patients.Pain Med. 2016;17(3):606-613. Lemmex DB, Ono Y, Reno CR, Hart DA, Lo IK, Thornton GM.Increased lubricin/proteoglycan 4 gene expression and decreased modulus in medial collateral ligaments following ovariohysterectomy in the adult rabbit: Evidence consistent with aging. J Biomech. 2016;49(3):382-7. Oda T, Sakai T, Hiraiwa H, Hamada T, Ono Y, Nakashima M, Ishizuka S, Matsukawa T, Yamashita S, Tsuchiya S, Ishiguro N.Osteoarthritis-derived chondrocytes are a potential source of multipotent progenitor cells for cartilage tissue engineering. Biochem Biophys Res Commun.2016;479 (3): 469-475. 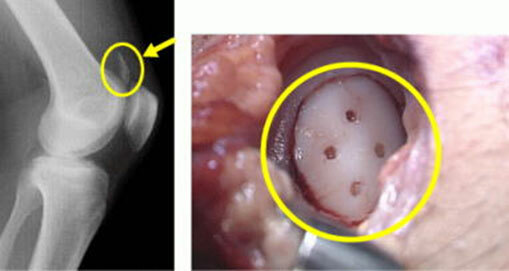 Ono Y, Woodmass JM, Bois AJ, Boorman RS, Thornton GM, Lo IK.Arthroscopic Repair of Articular Surface Partial-Thickness Rotator Cuff Tears‐Transtendon Technique versus Repair after Completion of the Tear-A Meta-Analysis.Adv Orthop. 2016;7468054. Ono Y, Davalos Herrera DA, Woodmass JM, Boorman R, Thornton G, Lo IK. 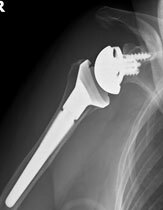 Healing rate and clinical outcomes of xenografts appear to be inferior when compared to other graft material in rotator cuff repair: a meta-analysis. 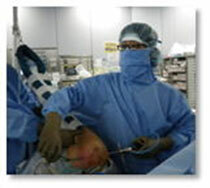 Journal of ISAKOS. 2016;22:1-8. Ono Y, Davalos Herrera DA, Nelson A, Boorman R, Thornton G, Lo I. Suture Cutting Through Bone Can Be Affected By Knotless Suture Anchor Design. 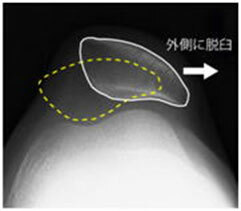 Journal Bone & Joint Research. 2016;5:269-275. 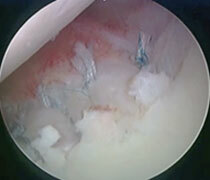 Ono Y, Davalos Herrera DA, Woodmass JM, Boorman RS, Thornton GM, Lo IK.Can Grafts Provide Superior Tendon Healing and Clinical Outcomes After Rotator Cuff Repairs?A Meta-analysis.Orthop J Sports Med. 2016 ;4(12):2325967116674191. 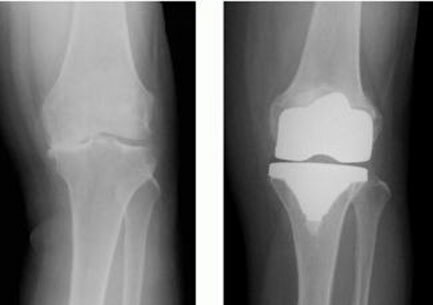 Takamatsu A, Ohkawara B, Ito M, Masuda A, Sakai T, Ishiguro N, Ohno K.
Transcription factor mohawk and the pathogenesis of human anterior cruciate ligament degradation. 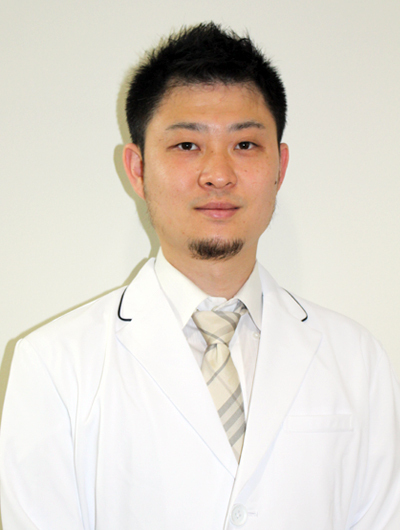 Nakahara H, Hasegawa A, Otabe K, Ayabe F, Matsukawa T, Onizuka N, Ito Y, Ozaki T, Lotz MK, Asahara H.
Chondrogenic capacity and alterations in hyaluronan synthesis of cultured human osteoarthritic chondrocytes. Ono Y, Sakai T, Hiraiwa H, Hamada T, Omachi T, Nakashima M, Ishizuka S, Matsukawa T, Knudson W, Knudson CB, Ishiguro N.
MicroRNA-125b regulates the expression of aggrecanase-1 (ADAMTS-4) in human osteoarthritic chondrocytes. 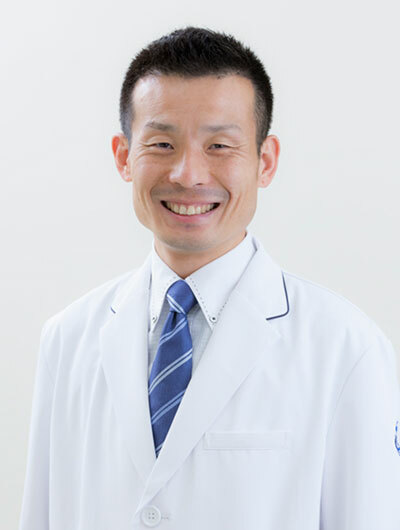 Matsukawa T, Sakai T, Yonezawa T, Hiraiwa H, Hamada T, Nakashima M, Ono Y, Ishizuka S, Nakahara H, Lotz MK, Asahara H, Ishiguro N.
Role of S100A12 in the pathogenesis of osteoarthritis. Inflammatory effect of advanced glycation end products on human meniscal cells from osteoarthritic knees. 浅野研一, 平岩秀樹, 岸本烈純, 甲山 篤, 酒井忠博, 平田 仁. 上腕骨2-part外科頸開放骨折の1例. 整形・災害外科.2016;59(5):621‐623. 河合亮輔, 塚原隆司, 山賀 篤, 山賀 寛, 平岩秀樹, 酒井忠博. 前十字靱帯再建術周術期における抗生剤投与法について. JOSKAS.2016;41(1):150‐151. 川村 佑介, 良田 洋昇, 佐藤 普介, 丸山 聖子, 片岡 祐司, 酒井 忠博, 平岩 秀樹, 浜田 恭. ポータブルナビゲーションを用いた人工膝関節置換術の成績. 東海関節.2016;８:91－95. 平岩秀樹, 塚原隆司, 酒井忠博, 濱田 恭, 小田智之, 山下暁士, 宮本健太郎, 岸本烈純, 土谷早穂. 膝前外側靱帯が前十字靱帯損傷膝における回旋不安定性に与える影響について　新鮮凍結屍体膝による調査. JOSKAS.2016;41(1):82‐83. 平岩秀樹, 酒井忠博, 濱田 恭, 小田智之, 山下暁士, 宮本健太郎, 岸本烈純, 土谷早穂. PCL温存型TKAにおけるPCL付着部の骨切りがPCL機能に与える影響. JOSKAS.2016;41(2):322‐323. 平岩 秀樹, 酒井 忠博, 濱田 恭, 小田 智之, 山下 暁士, 宮本 健太郎, 土谷 早穂, 岸本 烈純, 石黒 直樹. 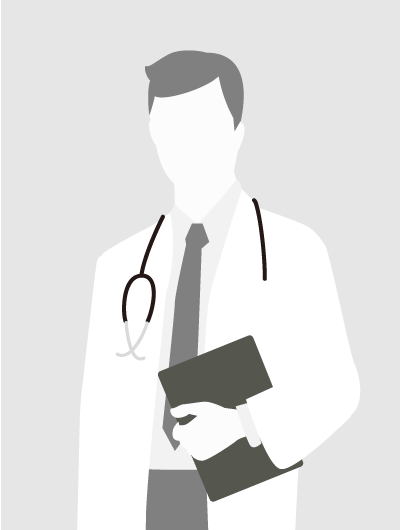 TKA術後患者における腎機能障害とNSAIDs. 日本人工関節学会誌.2016;46:643-644. 松川 哲也, 酒井 忠博, 平岩 秀樹, 濱田 恭, 石黒 直樹. 肩甲骨関節窩前縁の骨折を伴った陳旧性肩関節脱臼の1例，中部日本整形外科災害外科学会雑誌.2016;59(6):1159-1160. 宮本健太郎, 小田智之, 酒井忠博, 平岩秀樹, 濱田 恭, 石黒直樹. 小児陳旧性膝伸展機構損傷の1例. 中部日本整形外科災害外科学会雑誌. 2016;59(5): 1031‐1032. 山賀 篤, 塚原隆司, 河合亮輔, 山賀 寛, 酒井忠博, 平岩秀樹. 前十字靱帯損傷後早期に再建術を行った3例．JOSKAS.2016;41(1):160‐161. 山賀 篤, 山賀 寛, 塚原隆司, 河合亮輔, 平岩秀樹, 酒井忠博. 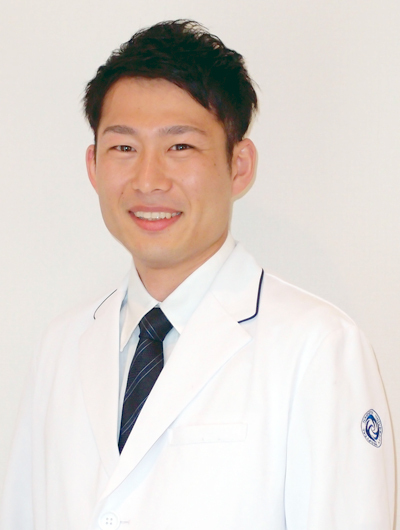 アキレス腱実質部断裂術後に発生した踵骨付着部断裂に対してsuture bridge法を用いて治療した1例. 日本整形外科スポーツ医学会雑誌.2016;36(3):265－267. 平岩秀樹、酒井忠博、濱田恭、小田智之、高松晃、山下暁士、宮本健太郎、岸本烈純、土谷早穂. 脛骨近位骨端線前方の早期閉鎖による反張膝に対し高位脛骨骨切り術（Open Wedge HTO）を施行した1例. JOSKAS. 2015;40(2):390-1. 平岩秀樹、酒井忠博、濱田恭、小田智之、高松晃、山下暁士、宮本健太郎、岸本烈純、土谷早穂. 国際膝記録委員会自己評価用紙（IKDC subjective form）を用いた前十字靭帯再建術後成績の評価. JOSKAS. 2015;40(1)::100-1. 松川哲也、酒井忠博. MicroRNAによるアグリカン分解酵素の制御. 臨床雑誌 整形外科. 2014;65(7):685-8. 中島 基成、酒井 忠博、平岩 秀樹、濱田 恭、石塚 真哉、小田 智之、高松 晃、山下 暁士、宮本 健一郎、石黒 直樹.Rolimeterを用いたCR型人工膝関節置換術後の脛骨後方移動量の検討. JOSKAS. 2014;39(2):290-1. 山賀 篤、塚原 隆司、河合 亮輔、山賀 寛、酒井 忠博、平岩 秀樹. 前十字靱帯補強術における大腿骨孔位置の検討　前内側補強術での手技変更前後の骨孔位の比較. JOSKAS. 2014; 39(1):118-9. 河合 亮輔、塚原 隆司、山賀 篤、酒井 忠博、平岩 秀樹、山賀 寛. ダイレーションが大腿骨PL骨孔壁のCT値に及ぼす影響. JOSKAS. 2014;39(1):114-5. 西田 佳弘、筑紫 聡、浦川 浩、酒井 忠博、石黒 直樹. 色素性絨毛結節性滑膜炎（PVNS). 臨床整形外科. 2014;49(3):243-7. 平岩 秀樹、酒井 忠博、濱田 恭、石黒 直樹. 異常可動性外側半月に対し半月板縫合術を行った2例. 中部日本整形外科災害外科学会雑誌. 2014;57(1):95-6. 小田 智之、酒井 忠博、平岩 秀樹、濱田 恭、石黒 直樹. ACL/MPFL同時再建術を施行した1例. 中部日本整形外科災害外科学会雑誌. 2014;34(2):139-42. 石塚真哉、酒井忠博. Hypoxia inducible factor(HIF)-2α. 整形外科. 2014;65(1):68. 濱田 恭、酒井 忠博、平岩 秀樹、中島 基成、石塚 真哉、小田 智之、高松 晃、山下 暁士、宮本 健太郎、石黒 直樹. 当科における外反膝に対する人工膝関節置換術後の短期成績. 日本人工関節学会誌. 2013;43:277-8. 平岩 秀樹、酒井 忠博、濱田 恭、中島 基成、石塚 真哉、松川 哲也、小田 智之、高松 晃、山下 暁士、宮本 健太郎、石黒 直樹. 人工膝関節置換術後のエノキサパリン使用による大腿・下腿周径の変化. 日本人工関節学会誌. 2013;43:181-2. 平岩 秀樹、酒井 忠博、濱田 恭、中島 基成、松川 哲也、小田 智之、高松 晃、山下 暁士、矢野 順治、石黒 直樹.変形性膝関節症の保存治療におけるトラマドール塩酸塩/アセトアミノフェン配合剤の使用経験. 日本関節病学会誌. 2013;32(3):378. 中島 基成、酒井 忠博、濱田 恭、石黒 直樹、長谷川 幸治. 一般地域住民の骨密度変化に影響する生活習慣の長期縦断的研究. 日本関節病学会誌. 2013;32(3):304. 小田 智之、酒井 忠博、平岩 秀樹、濱田 恭、中島 基成、松川 哲也、山下 暁士、高松 晃、宮本 健太郎、石黒 直樹. 変形性関節症由来軟骨細胞の再分化能についての検討. 日本関節病学会誌. 2013;32(3):303. 高松 晃、酒井 忠博、平岩 秀樹、濱田 恭、中島 基成、石塚 真哉、小田 智之、山下 暁士. 肩甲下筋腱損傷に対する徒手検査の診断精度. 肩関節. 2013;37(2):795-8. 平岩 秀樹、酒井 忠博、濱田 恭、中島 基成、石塚 真哉、小田 智之、高松 晃、山下 暁士. 空気造影CT検査による前下方関節唇病変描出困難例の検討. 肩関節. 2013;37(2):561-3. 河合 亮輔、塚原 隆司、山賀 篤、平岩 秀樹、酒井 忠博. 坐骨結節骨端症に対してバンドを使用し3ヵ月で復帰しえた1例. 日本整形外科スポーツ医学会雑誌. 2013;33(3):282-5. 平岩 秀樹、酒井 忠博、濱田 恭、中島 基成、石塚 真哉、小田 智之、高松 晃、山下 暁士、石黒 直樹. 当院における膝離断性骨軟骨炎の治療方針および成績. 日本関節病学会誌. 2013;32(2):137-43. 高松 晃、酒井 忠博、平岩 秀樹、濱田 恭、中島 基成、松川 哲也、小田 智之、山下 暁士、宮本 健太郎、柏口 新二. 肘離断性骨軟骨炎に対する超音波検査の有用性. 日本整形外科超音波学会学術集会プログラム・抄録集. 2013;25:49. 平岩 秀樹、酒井 忠博、濱田 恭、中島 基成、石塚 真哉、小田 智之、高松 晃、山下 暁士、石黒 直樹. 膝屈曲位グラビティ撮影を用いたCR型TKA術後患者に対するPCL機能評価. JOSKAS. 2013;38(3):688-93. 酒井 忠博, 平岩 秀樹, 濱田 恭, 中島 基成, 石塚 真哉, 小田 智之, 高松 晃, 山下 暁士, 花村 浩克, 高橋 成夫, 石黒 直樹. 反復性膝蓋骨脱臼患者における手術前後の膝蓋骨高に関するX線学的検討. JOSKAS. 2013;38(1):186-7. 濱田 恭, 酒井 忠博, 平岩 秀樹, 大間知 孝顕, 中島 基成, 石塚 真哉, 小田 智之, 高松 晃, 山下 暁士, 塚原 隆司, 良田 洋昇, 筒井 求, 石黒 直樹. 当院での解剖学的後十字靱帯二重束再建術における骨孔位置の検討. JOSKAS. 2013;38(1):132-3. 中島 基成, 酒井 忠博, 平岩 秀樹, 濱田 恭, 石塚 真哉, 小田 智之, 高松 晃, 山下 暁士, 塚原 隆司, 石黒 直樹. 膝伸展位矢状面アライメント評価における前十字靱帯再建術前後および麻酔導入前後での比較. JOSKAS. 2013;38(1) :122-3. 山賀 篤, 塚原 隆司, 河合 亮輔, 青芝 秀幸, 塚田 誠, 山賀 寛, 酒井 忠博, 平岩 秀樹. 2つの異なるガイドを用いた解剖学的二重束前十字靱帯再建術におけるPL骨孔位置の検討. JOSKAS. 2013;38(1):82-3. 平岩 秀樹, 酒井 忠博, 濱田 恭, 中島 基成, 石塚 真哉, 小田 智之, 高松 晃, 山下 暁士, 石黒 直樹. 十字靱帯再建用ガイドシステムBullseyeを用いた解剖学的二重束前十字靱帯再建術の小経験. JOSKAS. 2013;38(1):78-9. 河合 亮輔, 青芝 秀幸, 塚原 隆司, 山賀 篤, 酒井 忠博, 平岩 秀樹. 解剖学的ACL二重束再建における胡座・屈曲位での大腿骨骨孔作成法についての有用性. JOSKAS. 2013;38(1):70-1. Comparison Of Four Patellar Height Measurement Methods For The Diagnosis Of Recurrent Patellar Dislocation (RPD).